Many APAC countries are going ‘SMART’ – healthcare IT spending in APAC is expected to grow 8 per cent through 2018. 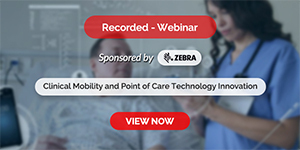 Nurses, who are the majority serving at the frontline of healthcare, are often left out of discussions around IT adoption although they are central to delivering patient-centered care. The author talks us through three emerging technology trends that will change nursing practice. There is no question we are living in a time of exponential growth of technology. Many Asia Pacific (APAC)countries are investing heavily in Health Information Technology (HIT) which has significant impact on the healthcare workforce. In APAC, like other regions in the world, the nursing profession comprises the largest workforce delivering patient care so to prepare and engage nurses is critical to advance the transition to digital health. This was recognised in the United States when the country began to lay out a plan to focus on digitalising the health system. While structures were beginning to be put in place to support a collective shift towards healthcare technology, the significance of having nurses at all levels and areas engaged became glaringly apparent. The first and most impactful grassroots effort was the launch of the TIGER (Technology Informatics Guiding Education Reform) Initiative. TIGER began as a grassroots initiative in 2006 within the US nursing community, convening a Summit, with support from over 70 contributing organisations including HIMSS, two grants from the Robert Wood Johnson Foundation and a personal endowment. Today, the TIGER Initiative is a part of the HIMSS organisation focusing on education reform and fostering international community development. The spirit of TIGER is to contribute to a learning health system that maximizes the integration of technology and informatics into seamless practice, education, and research resource development. Elsevier Clinical Solutions was one of the contributing organisations of the TIGER Summit in 2006 and has continued to support the TIGER efforts in several ways, including supporting my engagement in various leadership roles for TIGER to advance the vision and mission set forth a decade ago. At Elsevier Clinical Solutions we are focused on integrating evidence-based content and technology to enable knowledge, clinical decision support and adoption of new ways of delivering care across the continuum. My recent visit to several APAC countries during and following HIMSS AsiaPac 2016 was filled with stories of the hopes and challenges of technology and specifically how current trends are evolving the roles of nursing. Michelle is the Chief Professional Practice Officer of Elsevier Clinical Solutions. She has over 25 years of experience in co-designing and implementing evidence-based practice and technology infrastructures to support patient-centered care and interprofessional integration at the point of care across hundreds of healthcare settings.